Summary: Winter Kim and her sister, Rose, have always been inseparable. Together, the two of them survived growing up in a Korean orphanage and being trafficked into the United States. The Good, the Bad, and the Ugly: I'm going to say this upfront - Vicarious is probably my least favorite of Paula's books thus far. It's still a pretty good read, but I think I like her contemporary novels better. I'd read the synopsis of Vicarious several times, so I mostly knew what to expect, going into the book. However, I just couldn't enjoy the plot or the characters. Something about Gideon didn't click for most of the story and I didn't connect with Winter's voice. Plus the big reveal was not at all what I wanted it to be, and the ending was a big nope for me. I kept grasping for some detail to hold onto and love, but I couldn't find one. I wanted to like Winter and Jesse together, but I kept feeling like I ought to be suspicious of him, which kept me from shipping them. Since Rose was presumed dead in the present, I needed more back story with her to appreciate her relationships with Winter and Gideon. Some foul language. Plenty of violence and making out. Underage drinking. 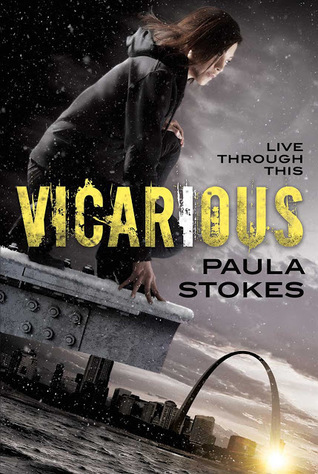 The Verdict: If you're a fan of mystery/thrillers, you'll probably love Vicarious. Unfortunately, I didn't love it like I wanted to. Will I be adding this book to my library? : Probably not.